The bead-shaped pasta fregola gives a nice and chewy base to many dishes. 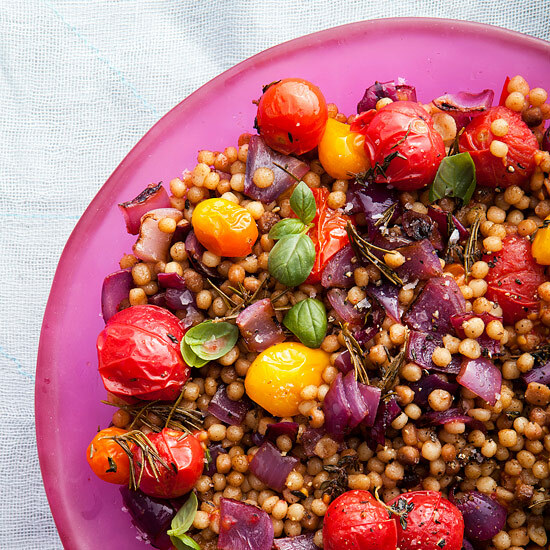 Here, a selection of great fregola recipes, from fregola with charred onions and roasted cherry tomatoes to an easy fregola tabbouleh. A sweet, superversatile garlic puree is the star of this satisfying dish. 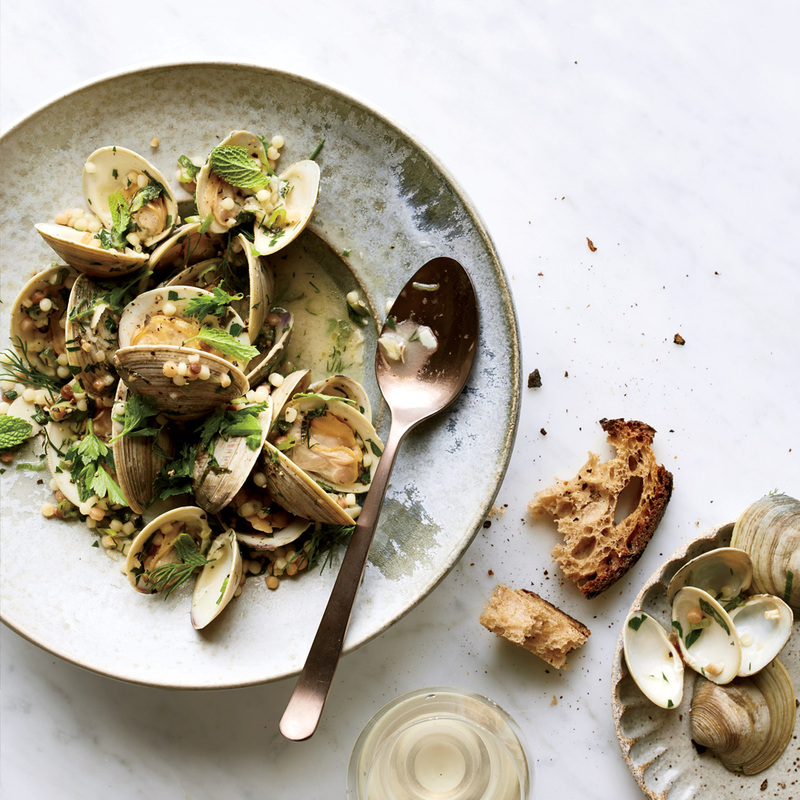 In addition to swirling it into the silky broth, chef Michael Psilakis spreads the leftovers on toast in place of butter or folds it into Greek yogurt for a quick dip. Once the garlic puree is made, this dish comes together in minutes. Also known as Italian couscous, fregola is made from semolina flour; grains of the medium variety are about the size of small capers. You can find it at specialty food shops and Italian markets. Fregola sarda is a wonderfully chewy mini Italian pasta from Sardinia. 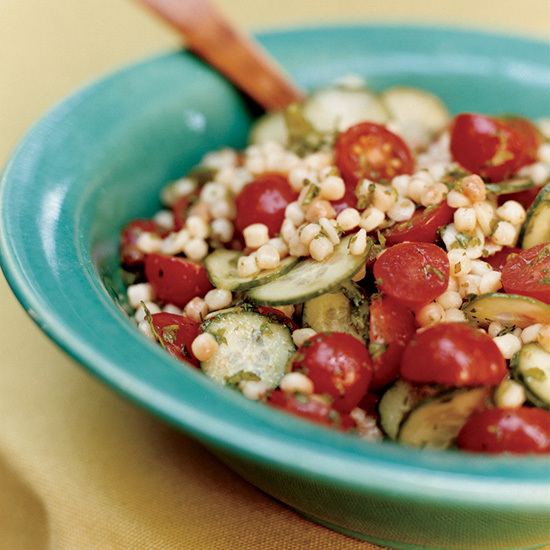 Because its size is similar to bulgur wheat's, Nancy Silverton uses it in her fun riff on tabbouleh. 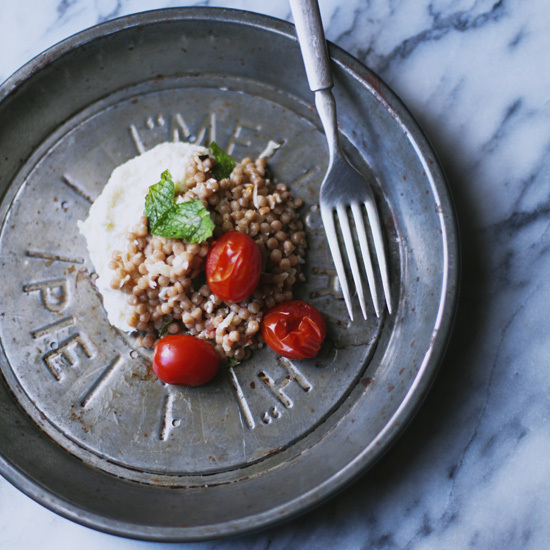 Fregola, sometimes called friulli, is a flour product from Sardinia that is similar to pasta. It resembles lumpy golden pebbles and comes in small, medium and large. Fregola is a bead-shaped pasta from Sardinia; it’s nicely chewy and can be used as a phenomenal base for a summer salad. Chef Jeff Banker roasts cherry tomatoes in the oven before he adds them to the fregola, which makes them especially sweet. Fregola, sometimes referred to as fregula, is a lumpy, pebble-shaped pasta from Sardinia that is formed by hand and then lightly toasted until golden. Fregola comes in small, medium and large grains and is available at specialty markets or by mail order from Formaggio Kitchen (888-212-3224 or formaggiokitchen.com) or from chefshop.com. 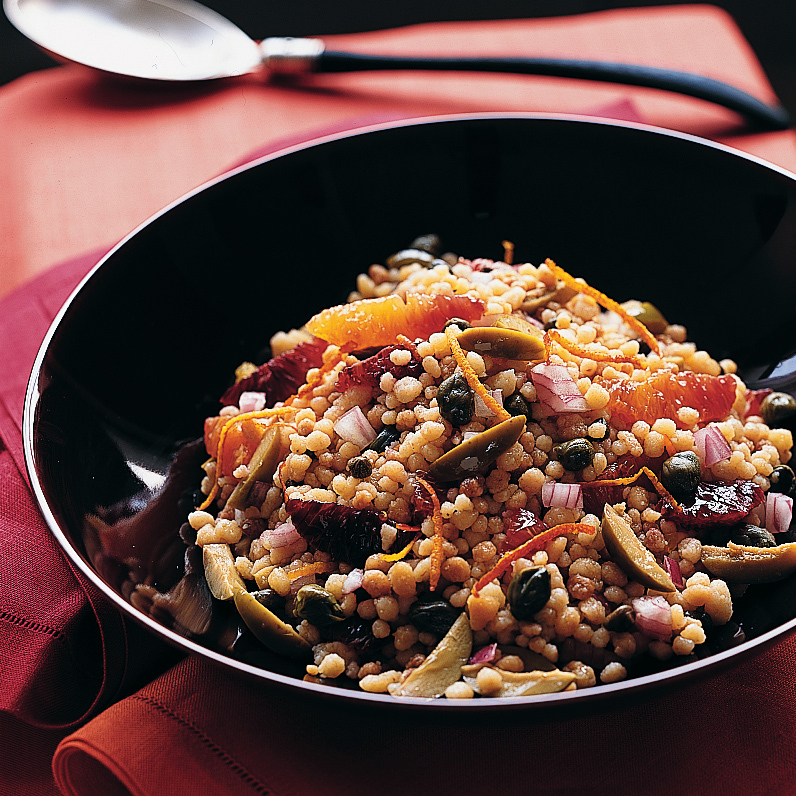 This terrific vegetarian entree features fregola. Mourad Lahlou likes making the dish with seasonal heirloom tomatoes baked in salt; roasted grape tomatoes are a fine substitute. 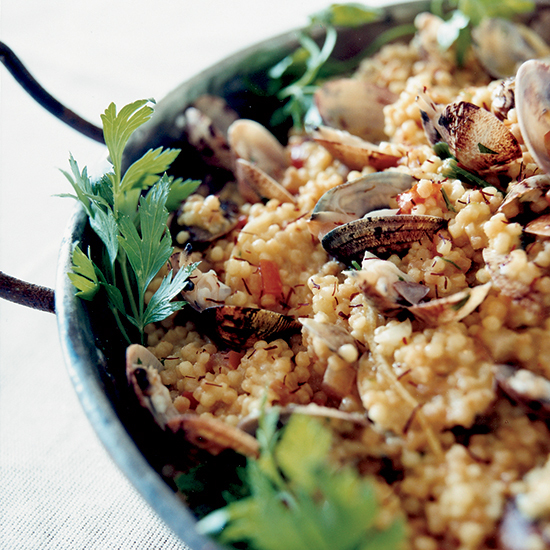 Fregola replaces rice in this Sardinian paella; the chewy, dot-shaped semolina pasta comes from the western part of Sardinia, near Oristano, where more than four centuries of Spanish occupation left Catalan influences that are still prominent today. 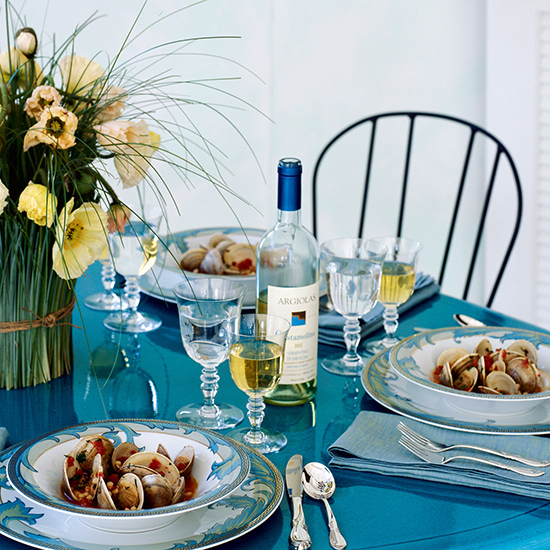 In another change from the traditional Spanish recipe, this version is made with only seafood (no chorizo). 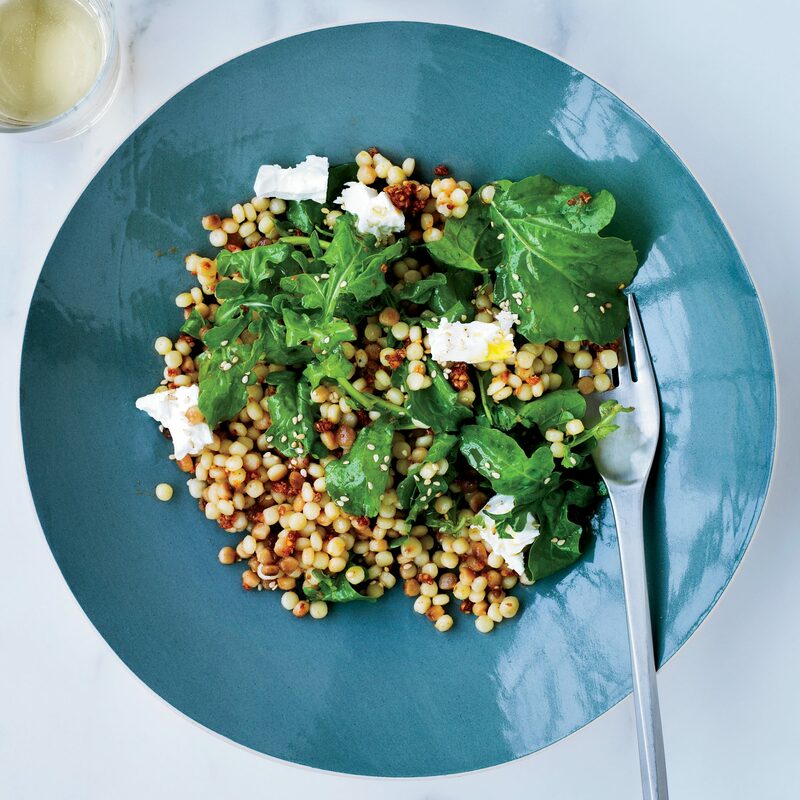 Fregola (toasted Sardinian pasta) has an appealing texture in this tasty dish, where it's combined with smoky paprika, sesame seeds, coriander and salty feta cheese. 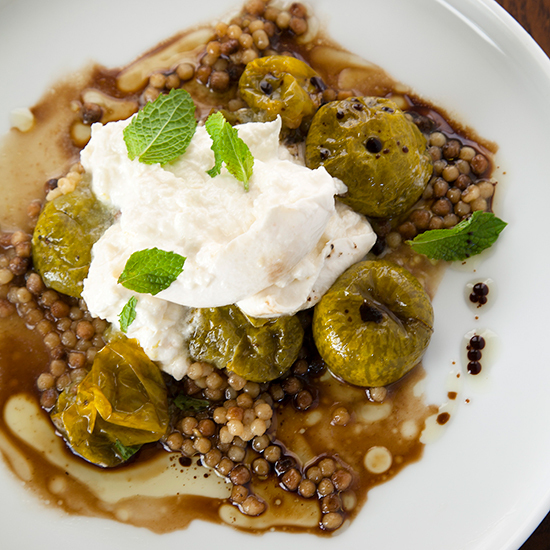 Fregola gets a hearty addition of roasted green tomatoes, burrata and mint in this fresh, satisfying pasta dish.